At 2254 hours, Box 33-7 sent Company 33 (Colonial Park) and Engines 34 (Paxtonia), 35 (Linglestown) to 973 Galion Street for a garage fire. Engine 33 went enroute with 5 and advised of a caller reporting fire in the garage attached to the residence. While companies were enroute multiple calls started to come in. 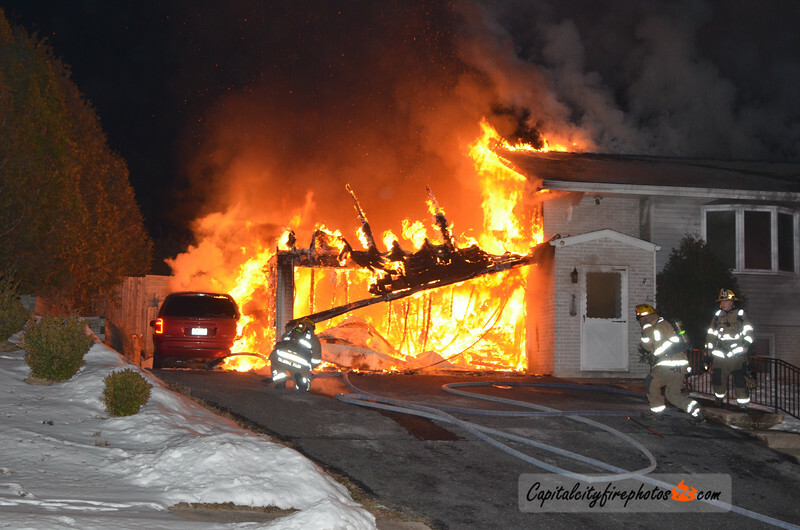 Engine 33 arrived with a fully involved garage that appeared to be extending into the attached 2 story house. A line was stretched to make an attack on the garage fire and a secondary line stretched into the house. The bulk of the fire in the garage was knocked in about 10 minutes. Primary and secondary searches were negative. No extension into the first and second floor of the house but there was some minor extension into the attic that was quickly contained. The fire was placed under control in about an hour with units remaining on the scene performing overhaul.